Since our brew tours of Columbus are limited in size, tickets need to be purchased in advance by clicking on the ‘Buy your Ticket’ button on the right-hand side. Prepaid reservations are preferred so that we can give our brew tour partners, some of Columbus’ finest breweries and brewpubs, prior notice of how many people to prepare for, and to avoid disappointment if the tour sells out. 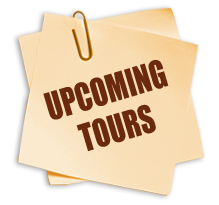 If you wish to attend a tour that same day, please call us at 614.619.6464 to see if we can accommodate you. If you have a group of eight or more, it is also possible to arrange for a private tour. Please contact us to discuss schedule and price. Our tours make a fun gift for families and friends and are perfect for any occasion. This gift idea is perfect for the beer or spirits lover in your group. Our gift certificates are great for anyone wishing to give a unique gift that is sure to be an unforgettable experience. Gift certificates are available for all of our scheduled tours. Please visit our gift certificate page.